A baseball player at UC Berkeley survived a deadly crash on Interstate 80 in San Pablo on Saturday, but four members of his family were killed, officials announced Monday. Jared Horn of Napa was driving along I-80 at the San Pablo Dam Road exit when the multi-vehicle crash, which is being investigated as a hit-and-run, occurred. Daryl Horn, 50, and Joseph Horn, 14, both of Napa, and Troy Biddle, 52, and Baden Biddle, 12, both of Bainbridge Island in Washington, died in the crash, according to the Contra Costa County coroner's office. 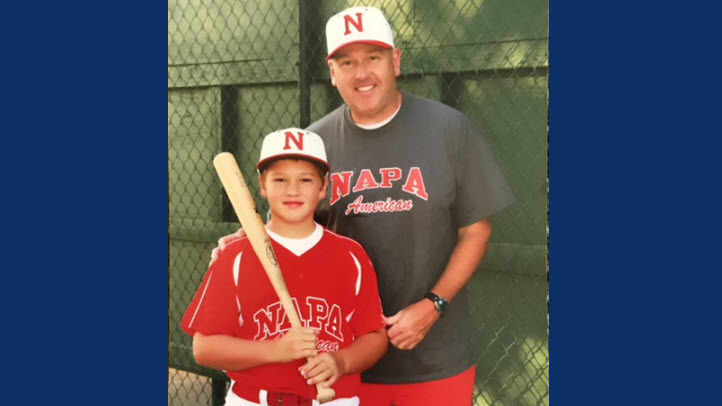 Troy and Baden Biddle were killed in a multi-vehicle crash on Interstate 80 in San Pablo. Mike Neu, the head coach of the Golden Bears' baseball squad, wrote in a statement that the team "cannot image what Jared is going through right now" and offered thoughts and prayers to him and his family. "Jared is a respected and beloved member of our team as well as an incredible student-athlete, teammate and friend," Neu wrote in the statement. "We will give him any and all support that we can as he goes through this unthinkably difficult time." The suspected driver who caused the deadly wreck has been identified as Fred Lowe of Sacramento, officials said. Lowe has been taken into custody. "A witness identified the driver, saw him hit the vehicle and leave," CHP Officer Matthew Hammer said. "He relayed the info the Contra Costa County Sheriff’s Department." Lowe, 47, was driving on a suspended license due to a prior DUI conviction, the CHP said. In addition, he was involved in a second hit-and-run shortly after the fatal crash when he smashed into a parked vehicle near San Pablo Dam Road, right off the El Portal onramp, not far from the original crash site. Five cars were involved in the original wreck, according to the CHP. The car Horn was driving overturned. He was taken to the hospital and later released, but four passengers in the car he was in were pronounced dead at the scene. Six others, including a child, were also injured in the crash involving five vehicles, according to the CHP. The freeway was shut down for about seven hours overnight, the CHP said. The CHP said it typically sees a spike in impaired drivers around the holidays. The department has been operating under what’s called a maximum enforcement period. That means more officers on the highways across the Bay Area, with a goal of keeping people safe. "In our area, we have a lot of really bad collisions, a lot of fatalities, and so we are really stopping and slowing people down to prevent those collisions," CHP Officer Charlotte Brannon said. Another issue is drivers and passengers not wearing seatbelts. The CHP said of 27 fatalities a year ago in its jurisdiction, 14 were not wearing seatbelts. 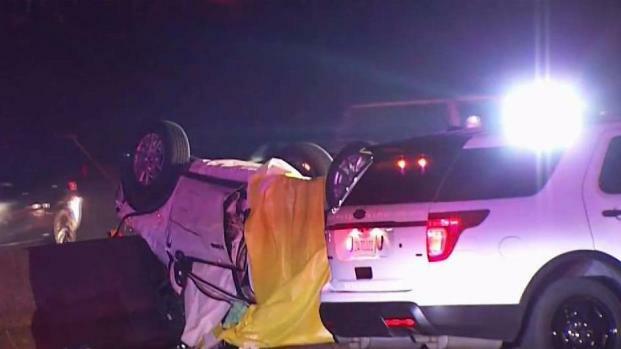 A baseball player at UC Berkeley survived a deadly crash on Interstate 80 in San Pablo on Saturday, but four other people in the car he was in were killed, sources tell NBC Bay Area. Pete Suratos reports. "The Horn and Biddle families appreciate the tremendous outpouring of support from their communities. Troy Biddle and Daryl Horn were beloved fathers, husbands, sons, brothers, friends and coaches. Baden Biddle (13) and Joe Horn (14) were beautiful, caring and innocent boys whose loss will be felt by all those who knew them. The families are focusing on supporting each other and ask for privacy during this time. Amanda and Denise would appreciate if the message and memory of those lost were of their love of family and community. These men were dedicated to youth sports and mentoring children. Through the years they have had a tremendous impact on the lives of young boys and girls that their communities will benefit from for generations. The dads and their boys spent their last day doing what they loved, playing in an annual father son basketball tournament. It was an amazing day filled with pride and laughter. The surviving families consist of Amanda Horn (Biddle) and their daughter Devon Biddle (10), Denise Horn their daughter Greta and son Jared. The families have a deep love for each other and will use their strength to manage this difficult time." NBC Bay Area's Anser Hassan, Jodi Hernandez and Bay City News contributed to this report. 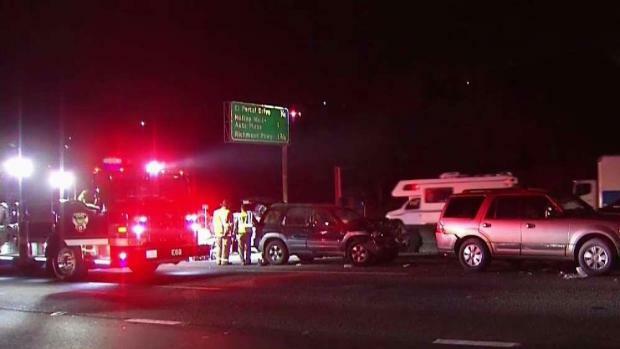 At least four people were killed and six were injured after a multivehicle collision late Saturday on westbound Interstate 80 in San Pablo, according to the California Highway Patrol. Anser Hassan reports. 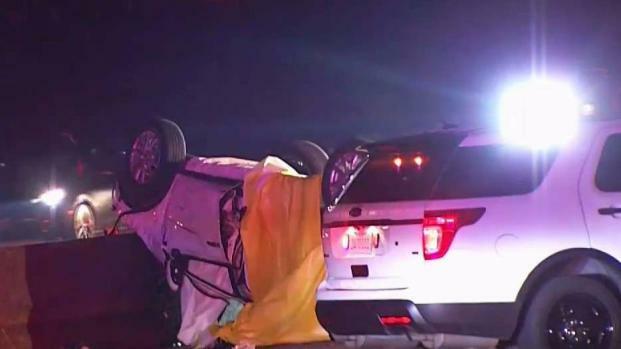 At least four people were killed following a multi-vehicle collision late Saturday on westbound Interstate 80 in San Pablo, California Highway Patrol officials said.